Last month I snapped this photo of a young male elk in Colorado's Rocky Mountain National Park. Note that he still has some of his shaggy winter coat. Also, what will eventually become antlers are just beginning to grow from the animal's skull. 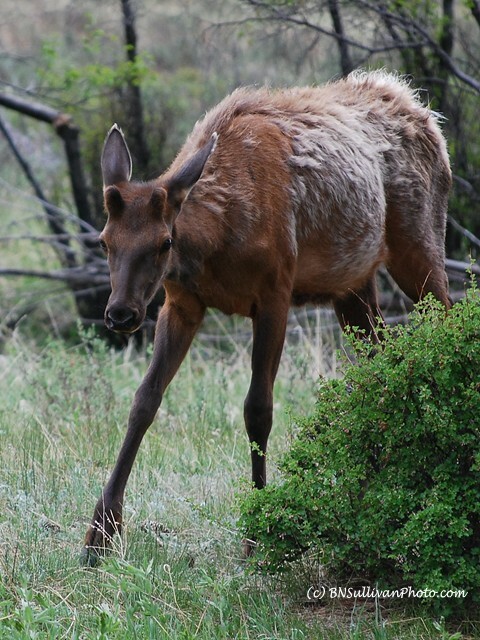 Here is a link to a photo of a slightly older male elk, whose antlers are beginning to look like antlers instead of like velvet-covered bumps!